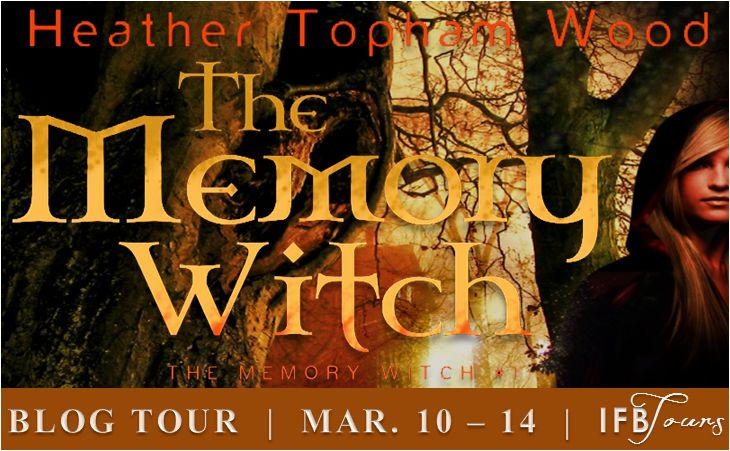 I have enjoyed author Heather Topham Wood's Second Sight series so I'm thrilled to be part of the tour for her latest book, The Memory Witch. 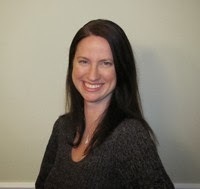 This tour is hosted by Itching for Books Tours. We have an excerpt of our choosing and our review. Unfortunately, I made a mistake and thought I had sent the author questions for my scheduled interview but didn't so I'm running my review instead. There's also a giveaway to enter. Have a great day! “Of course,” I agreed. If it meant staying out of trouble, I would willingly perform a juggling act to appease my mother. “Meaning you were hoping I’d be dead by now,” Stella replied dryly before calmly taking another sip of her tea. “Well, that’s not my fault, dear. You knew the terms when you came to me.” Stella waved her off dismissively. “Where do I begin?” she asked rhetorically. She looked to Stella for help. The old woman simply shrugged her shoulders and leaned back further into the loveseat. My breath hitched. I wanted to take in this moment because I had a feeling my entire life was about to change. I thoroughly enjoyed Heather Topham Wood's other series, Second Sight, and knew I had to check out her latest title when I heard it involved witches. That was a great decision on my part. The Memory Witch piqued my curiosity with the Prologue and learning that teen girl Quinn had lost memories (up until age 8) and a deceased father upped the stakes. Wood secures her rank as an entertaining and wonderful writer with this one as she demonstrates with this first book in her latest YA paranormal series, The Memory Witch. Quinn is a typical teen with a testy parental bond and a boyfriend she cares for but is afraid to take their relationship to the next level. Of course, she has to deal with not being able to remember her childhood which will certainly do a number on a person. When her mom drops the bomb about a deal she made which will now affect Quinn on her 18th birthday, I expected a bit more of a rebellious reaction from the teen, but then she tends to keep her emotions bottled up. Quinn learns she is a witch and has to leave her home, her school, her friends and her future (including a scholarship to Lehigh) to live with the old witch, Stella, who comes to collect her claim. The author does a great job conveying this new world and how Quinn not only reacts to it, but how she fits into it for the one year her mother made the deal for. A supposed normal teen must now learn to handle a new world of magic as Stella's apprentice, study spellcasting and deal with her feelings for the old witch's caretaker nephew, Mason. What adds to this mix is the warning Stella gives her not to get attached to Mason, but since they aren't many people around, Quinn finds herself becoming his friend (an more-there is romance). I'm a fan of Wood's and now of Quinn's and look forward to the next book in The Memory Witch, an engaging new series fans of witch stories will want to read. Great review and excerpt. Thanks for participating! What an awesome blurb and excerpt…most of these don't show the book in a good light, however, this is really well written..it grabbed me right away…I'm a fan! Have a great tour!